Will My Miles Still Be Around in Two Years? Are my frequent flyer miles in jeopardy over the next two years? I am so afraid that the airlines are going to start pulling miles because of these fuel costs. The miles are with Northwest. I am planning a trip to Europe in the next year or so. Loss of miles due to airline failure. In a worst-of-all-possible-worlds scenario, Northwest could fail outright. And in the subsequent liquidation, no other airline would step up and acquire the airline’s mileage program. Realistically, a Northwest failure is highly unlikely. It is by no means the most at-risk of the U.S. airlines, and it is in the process of [% 2550074 | | merging with Delta %]. Even if a collapse were to occur, your WorldPerks miles would probably be absorbed into the program of another major airline. Termination of mileage programs. It’s a persistent worry among consumers that the airlines will shut down their mileage programs altogether, leaving program members empty-handed. It won’t happen. Loyalty programs contribute significant amounts to the airlines’ bottom lines—they’re here to stay. Higher award prices. The trend is definitely toward increasing the number of miles required for award trips. While Northwest hasn’t announced any upcoming award price increases, I’d say it is at least somewhat likely they will. Certainly there will be no award price decreases. Fewer available awards. As with award prices, the trend here has not been a positive one for consumers. And with the airlines adjusting their future flight plans to ensure they are filling their planes to capacity, the expectation is that award seats will be scarcer than ever in the foreseeable future. Increased fees for awards. While Northwest currently does not charge a fee to issue award tickets, Delta does. I’d bet that Delta’s policy would remain in place in the event of a Delta-Northwest merger, which means you will pay $50 for every international award ticket issued. So, taking all the above into consideration, you can be reasonably confident that in two years, you’ll still be able to cash in your Northwest miles for an international award trip. 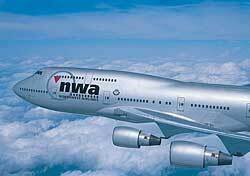 By then, assuming the current merger takes place, the Northwest miles will have been converted to Delta miles. The price in miles will likely be higher than it is today. And there almost certainly will be a fee to have an award ticket issued. Which leads to the following observation: Since all signs point to further deterioration in the award situation, you’d be better off using the miles sooner rather than later.